Flash a brilliantly beautiful smile with the help of cosmetic dentistry. If you are unhappy with the appearance of your smile, our highly experienced dentists can help enhance your smile. We will discuss the many cosmetic treatments available from modern dentistry and explain the advantages and disadvantages of each. Our team of dentists can beautify your smile whilst maintaining the long-term health of your mouth and teeth, generating natural looking results that enhance your entire appearance. 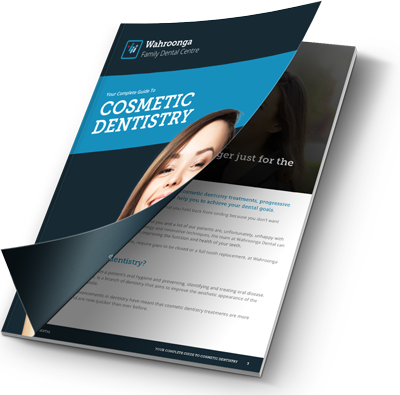 To discover more about the cosmetic dental treatments we offer at Wahroonga Family Dental Centre, or to request a consultation at our Northern Sydney practice, please contact us.